The kitchen is one of the most important rooms in the house, so it should look like it! Having a beautiful, clean kitchen makes a big difference in your overall quality of life. Such a space encourages you to spend more time cooking fresh meals rather than eating out. It becomes a part of the home that you end up spending more and more time enjoying with family and friends, rather than avoiding as you might be now. If you have an old, worn-out kitchen, it’s time to make some changes. Here’s everything you need to do to transform this room into the perfect kitchen you’ve always dreamed of! Before you start picking out paint colors and buying new appliances, you have to determine the kind of look you’re going for. Take a moment to look around your home and identify the kind of home decor style you’re drawn to the most. Then, start looking for inspiration within your chosen decor niche. Check out what country farmhouse homes are doing to liven up the kitchen, for example, or what the latest mid-century modern kitchen trends are. Once you have a feel for the kind of colors and textures that best fit your chosen design style, it’s time to focus on specifics. Consider how you can best utilize the space in your kitchen and what your biggest needs are. Maybe you need to purchase new cabinets or install new floors. Maybe you can make do with the current layout of the kitchen, but you need all-new appliances and better organization. If you’re not sure what your biggest needs are or how to execute them, design a 3D version before you get to work. View here to see how it’s done! 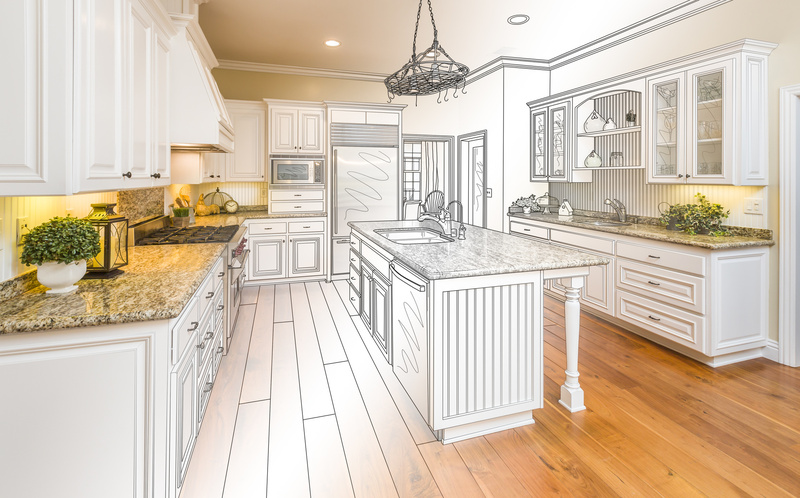 The next step in creating your perfect kitchen is to get rid of what you no longer need. Whether you’re taking down cabinets and counters or replacing your old appliances, you have to get all the old things out before you can bring in the new. Make sure you have a plan for what you’re going to do with everything. You can either have a company come pick everything up from your home or find a local dumpsite willing to take what you no longer need. Speaking of hiring a company to help you out, have you considered bringing a few professionals into the kitchen to move things along? You don’t have to do everything alone. While it might interest you to take care of the painting yourself or save money in installing new cabinets, things like kitchen flooring and appliances are better left to the pros. The only thing left to do after you’ve figured out your plan and gotten rid of everything you no longer need is to get to work! Start with things like painting and flooring then move onto the countertops, cabinets, and appliances. Then add the finishing touches like countertop storage accessories, fresh flowers, and maybe a bit of wall decor, too. It’s one thing to transform your current cooking space into the perfect kitchen, and another to make sure it looks amazing every single day. There’s no sense in putting so much effort into the remodeling process only to slack when it comes to cleaning and kitchen maintenance. 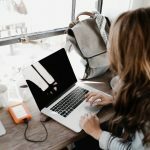 Check out our blog for helpful tips and information on just about everything from choosing the perfect kitchen island to other topics like how to get over writer’s block. We’ve got it all.